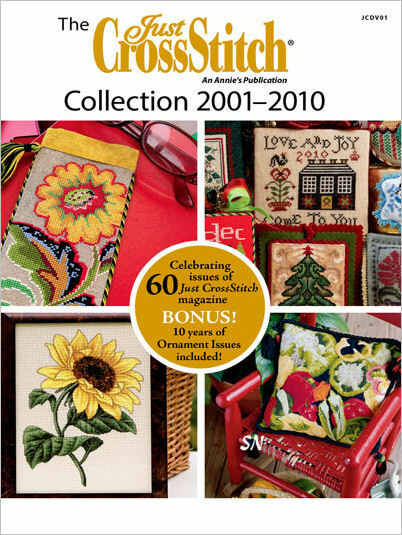 A great collection of soft and hard-cover titles... our book selections cover Sampler History, Stitch Diagram and Instructionals, wonderful needlepoint and cross-stitch projects, Finishing techniques... just so many things! Enjoy some of the titles we carry in the shop! Totally yummy sounding things - some of the Italian designers have metric measurements - you can Google the equivalents! Doug Kreinik put in a recipe that he used to win a Chili Cook-off... but it makes almost THREE gallons! (Ok, who has a pot that big!) Glendon Place has a huge bean recipe that took the entire page. 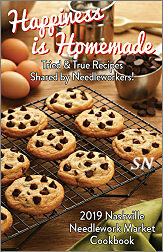 There are so many neat recipes in here, and you'll probably recognize most of the contributors! From super-easy things to super-old family favorites... just fun! The newest travel Guide for shops across the country is here. It is a 6 x 9 format, 596 pages full of maps, shop listings, hours, product selection summaries, phone numbers and website info. Perfect for a road trip because over 5000 shops are listed and referenced by highways and cities. 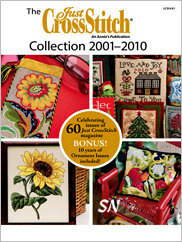 JCS has a DVD of previous year's magazine editions -- all PDF's -- all searchable -- a totally great deal! Check that out as well. 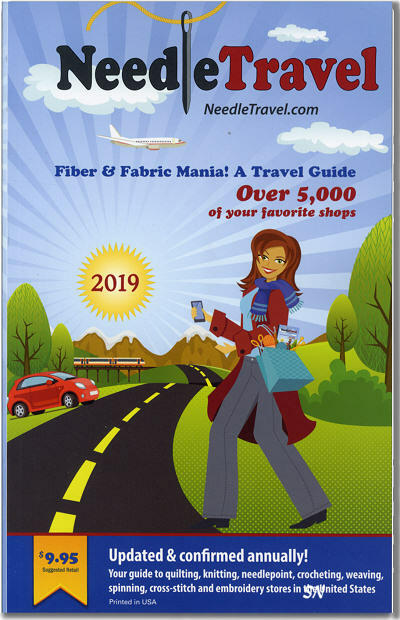 The newest Mega-Directory has arrived -- it centers around Quilt shops, but actually encompasses TONS of related shops -- like The Silver Needle! Glossy, colorful pages -- 432 of them -- jammed with 1000's of ads for shops all across the US and Canada, there is also a very comprehensive section on Retreat Facilities! 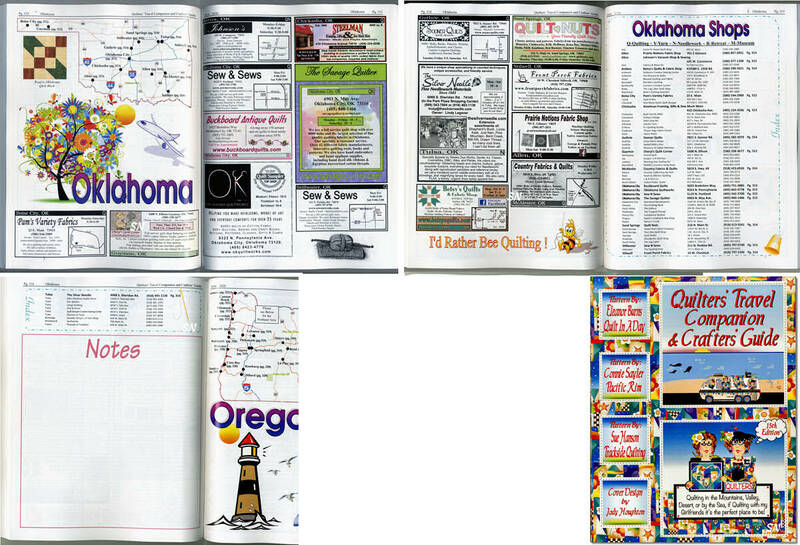 Everything mapped out for each state, besides the yummy ads, there are listings of every single shop they could find in each state -- whether or not that shop purchased an ad in here -- so it is FULL of glorious information!!!! It is 8-1/2 x 11, and weighs 2-1/2 pounds!!!! It's a Road Trip Bible! Webmaster's Note: Put your mouse over each image to see its season and year. It will help you pick the ones you want. No color key to complicate, and just one motif per page... it's simply fun to page through, and imagine that I will stitch them all someday! 100 Pages, spiral bound, 7 x 8-1/2 inches in overall size. 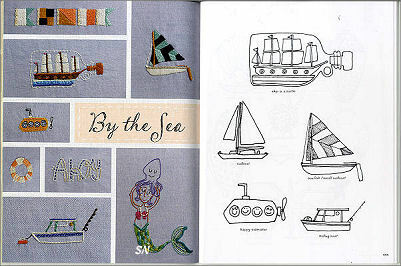 WOW... this is an AWESOME 158-page book with over 750 hand-drawn motifs to embroider on anything! It INCLUDES a CD of every image in the book that you can RE-SIZE and PRINT for any project!!! 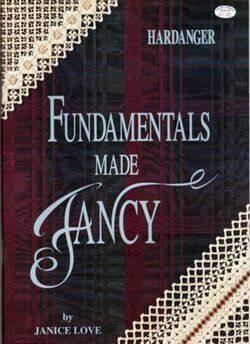 Darling stuff in here... it's divided up into subjects, and each 'chapter' has a colored pic of some of the motifs stitched... great inspiration here. 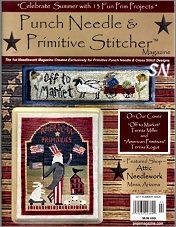 Subjects cover: Made in the USA, Food, The Craft Room, Tools, School Days, In the Kitchen, In the Garden, Around the House, The Great Outdoors, By the Sea, Animals, Plants, Frames and Borders and Alphabets. 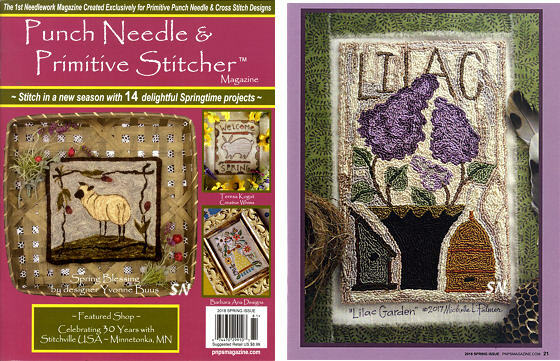 There are instructions for stitches in here, as well as using the CD. Beautifully presented! A definite YES to your stash! 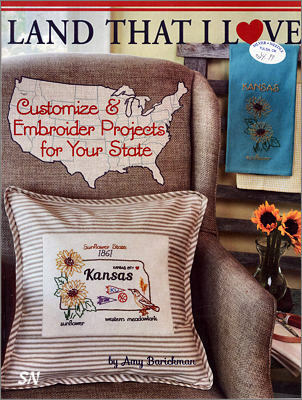 This is a publication by Leisure Arts that contains over 200 Iron-On-Transfers for regular embroidery -- the kind you do on pillow cases and dish towels. 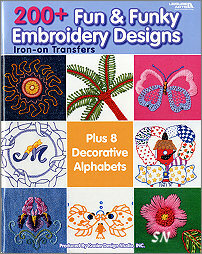 Birds, butterflies, the Zodiak signs, some cute floral and animal borders... there are motifs in here that remind me of South America, Mexico, our Southwest, a couple of small seasonal things... and then 8 different alphabets. 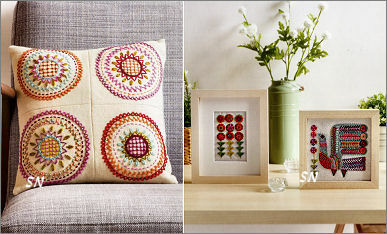 Mix and match them all to decorate denim, T-shirts, bags... just anything! This is a neat book, and you should buy it! (There it is in a nutshell!) It is a 120-ish page book full of line drawings of the 50 US states, and all sorts of lettering and motifs special to each state. 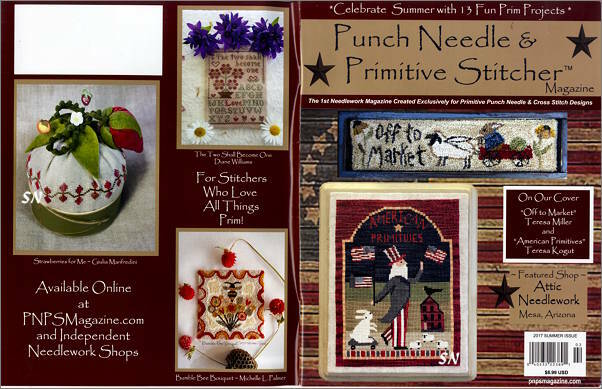 By Indigo Junction's Amy Barickman, it begs for your creativity! Ready to be traced onto fabrics for embroidery... possibilities are endless. 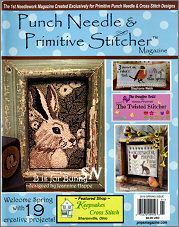 A *Retro* personality to this... how neat would it be to teach a young stitcher basic embroidery with this? 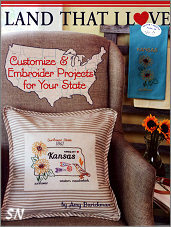 If you are traveling this summer... and you are going out-of-state... do pillow cases with motifs of the states you are visiting! If you go camping... it's a perfect momento! If you take a summer vacations somewhere... make kitchen dish towels with embroidery on them to celebrate your trip! If you have a camper -- maybe you have room for a cute stitched pillow in there? This book is your helping hand! 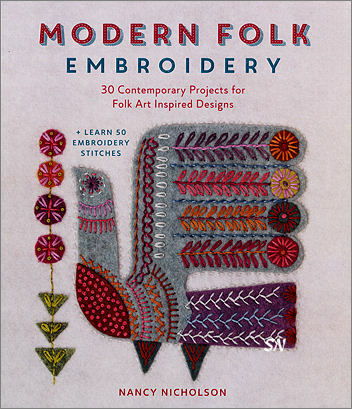 I stumbled across this book that features 30 contemporary projects for Folk Art inspired designs -- all done in traditional embroidery stitches! It is fresh, colorful, young and just fun! It's crewel embroidery -- stitched with embroidery floss on just about any fabric you want. The book has 125 pages of stitch diagrams, patterns and pictures of 30 different projects that are so NOW and CUTE! Bags, dolls, pillows, ornaments... you can finish everything in here any way you want! Browse through it, choose a project, the instructions are very good. Bright colors, very *Retro* on personality! 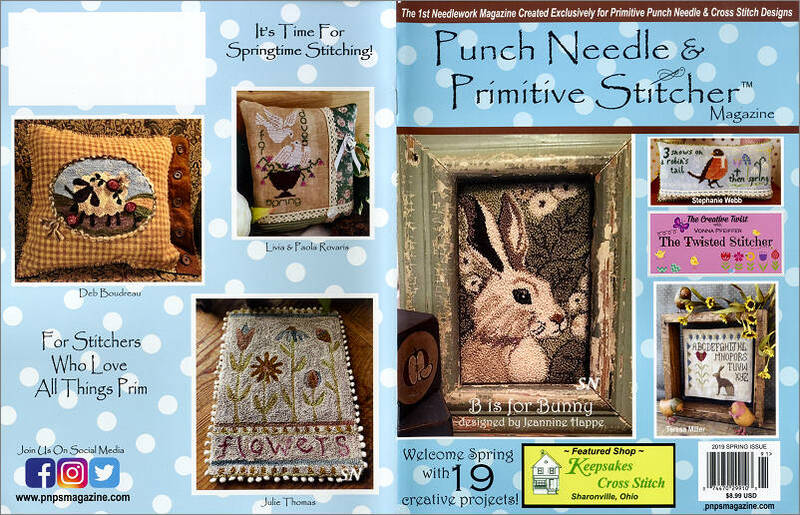 Another enchanting book I have stumbled across recently, this one features over 70 cross stitch floral motifs mixed into 20 different samplings and projects. 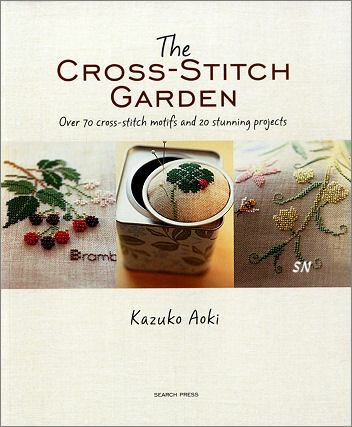 Fresh, clean, contemporary, and elegant, the author, Kazuko Aoki, is a popular Japanese embroidery artist who now lives in Sweden and writes embroidery books! Her style is clean, petite, colorful, and realistic. 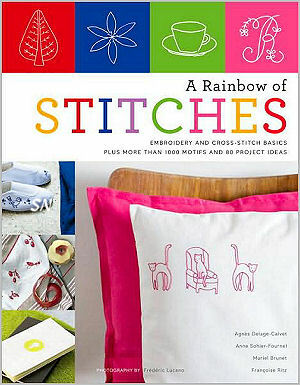 This is a very pretty book filled with luscious close-up photographs of the stitching, and very clear, inviting charts! Reminds me of the Danish Handcraft Guild look and Gerda Bengstrom, as well! 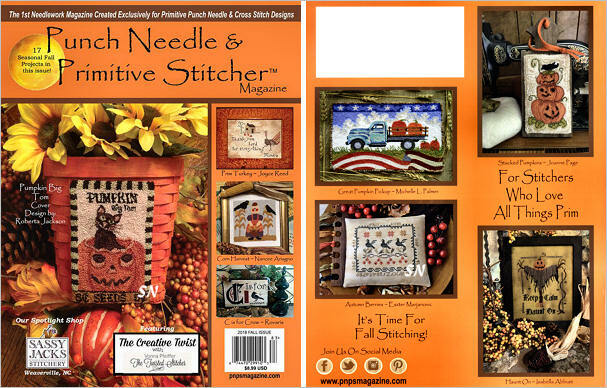 109 pages of sheer Cross Stitch delight! 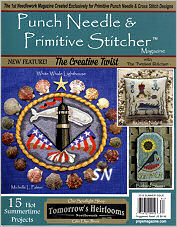 OK... sure, you can use these stitches to stitch something *Island-y*... but actually these titles are mis-leading. These little books are meant to suggest stitches that you couldn't be without if you were stranded on a Desert Island!!! (honest!) 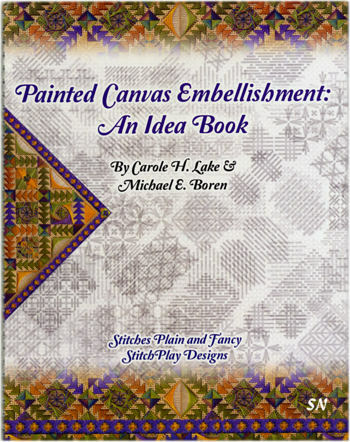 Needlepoint Gurus Carole Lake and Michael Boren have compiled this pair of handbooks that feature TONS of different stitch ideas and suggestions for different areas of your canvases. Volume ONE deals with stitches that are good for filling into small spaces in your design. Volume TWO presents 'serving suggestions' for creative borders. 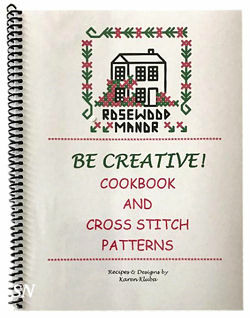 All sorts of ideas for all sorts of projects, these two offer advice all the way through the pages along with clear diagram repeats of the stitches. Handy little references to have... even if you are NOT stuck on some Desert Island!! WOW... how can the industry's most treasured periodical get better? You can have them ALL in one place, where you can FIND and enjoy them!!! 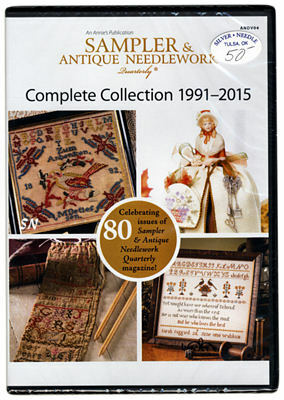 16 Years of magazines, 16 years of gorgeous samplers and incredible articles about needlework and its history... they are all here in this tiny box!!! EVERY PAGE of every issue from 1991 to 2105... fully searchable PDF's and printer-friendly charts you can sort and browse by issue, designer, words or phrases... it's intoxicating!!!!! Nothing else needs to be said! You NEED this! All in PDF format, printer-friendly charts, even the old advertisements! Something totally fun to peruse... it's just like reading a novel. 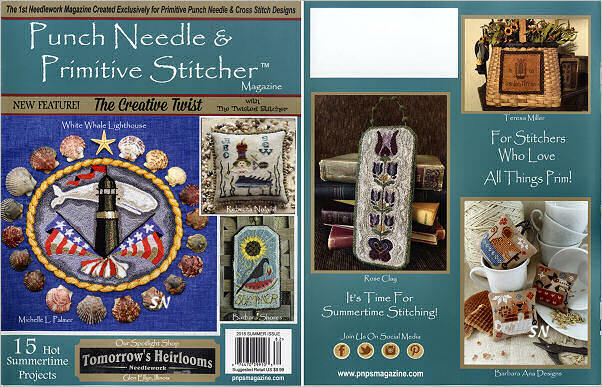 You don't have to STITCH any of it... just enjoy the adventures each page brings! 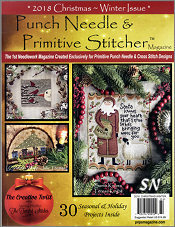 This now finishes the JCS Library -- 3 CD's of past issues and 1 of all the Annual Ornament Issues. Now we have The Halloween Collection: The 4 Special Halloween Collector Issues 2011-2014. 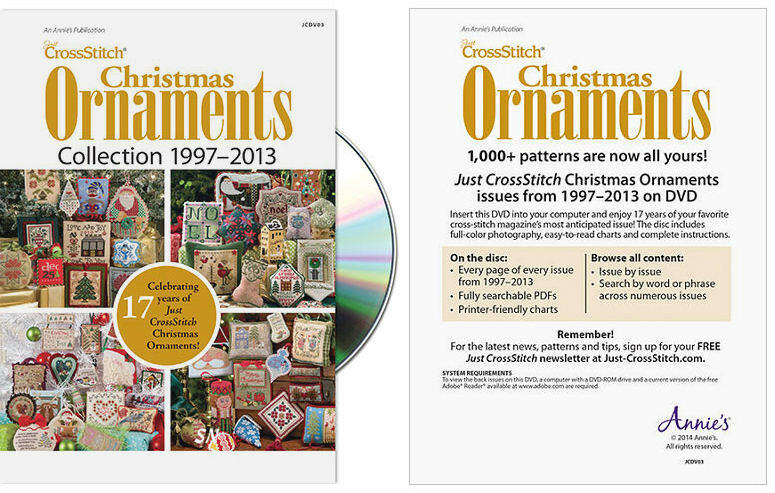 Just Cross Stitch Annual Ornament Issues on DVD! 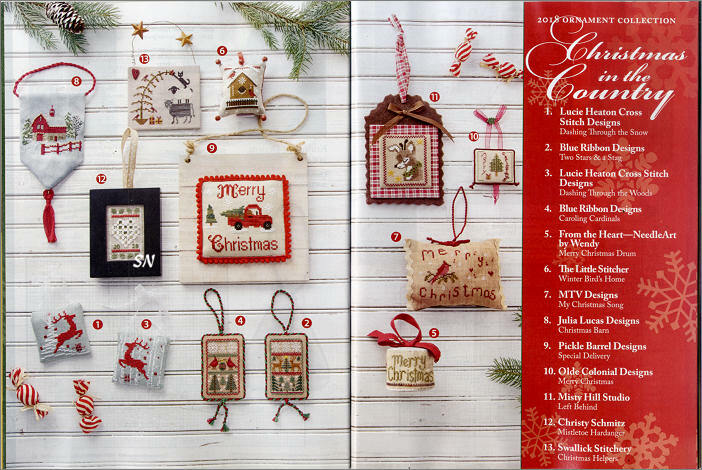 Here are the past 17 YEARS of the Just Cross Stitch Magazine Christmas ornament issues -- all on one searchable, printable DVD! 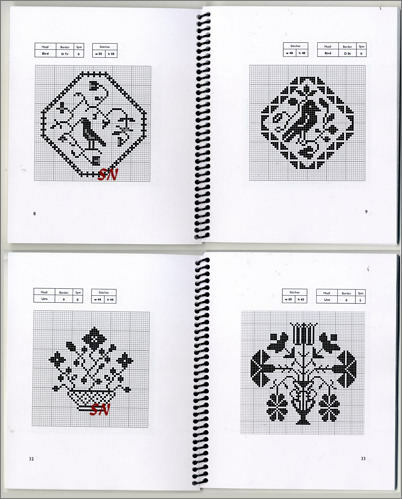 I think it's like 1275 ornament designs in pdf format(!) Every page of the issues, it's actually pretty overwhelming! You probably have some of the paper copies, but here is everything together, so beautifully presented. 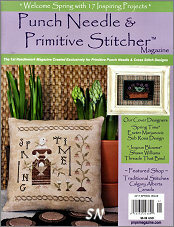 What a fun thing to take along on a stitching trip! 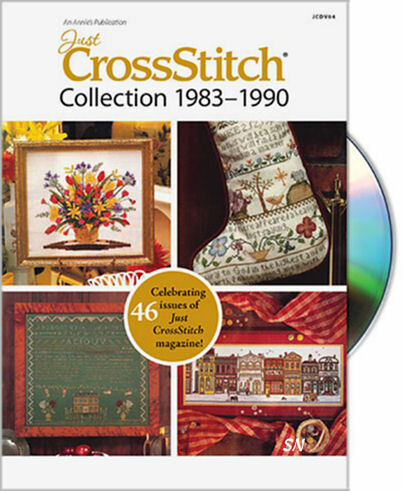 Presenting the Just Cross Stitch Magazine Archive DVD of 1991 through 2000! Ever gone nuts trying to find a design in one of your old magazines??? 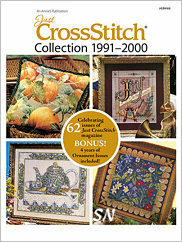 Just Cross Stitch has just finished archiving its third DVD of 10 YEARS of JCS Magazine! Including every page of every past issue published between 1991 and 2001... the words *Nostalgic, Vintage, Heirloom and Retro* come to mind... along with Oh My Gosh! 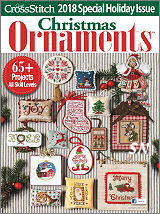 This particular DVD even contains the ORIGINAL 1997 Premier Annual Ornament Issue. Lots of designs that have been the property of the magazine, and not the original designers, all three of these DVD's have been done beautifully. The discs feature fully searchable PDFs and printer-friendly charts. WAY COOL! 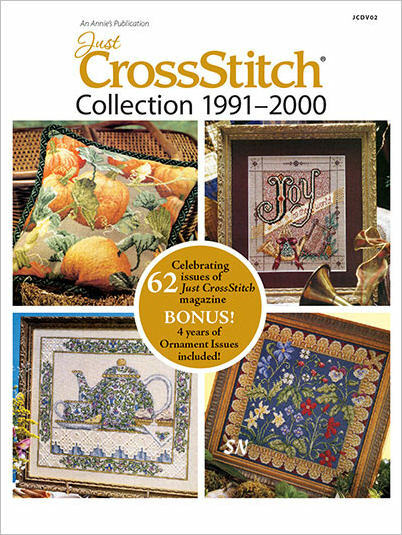 Announcing Just Cross Stitch Magazines PAST 10 YEARS ON DVD! Wow... talk about a great deal!!! 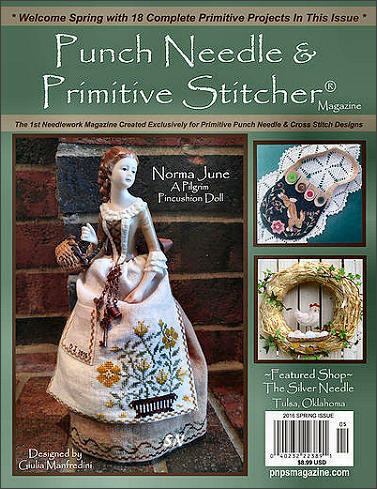 Just Cross Stitch Magazine has compiled and organized their PAST 10 YEARS of magazines -- including their annual Ornament Issues -- all into PDF format on one DVD. Including *every page of every issue* of Just Cross Stitch, each magazine is searchable and printer friendly. Browse everything by project, (like a particular sampler series you remember) or by subject (like Cats for instance). Most of us have some old magazines in boxes somewhere... but now you don't have to go searching through all your stuff... EVERYTHING is here on one new, clean, gorgeous DVD!!!!! 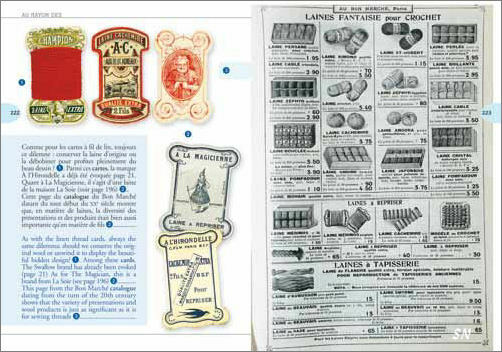 Charts, Pictures, even all the old ads -- which at this point might be fun to reminisce about! We figure this includes approx 84 full magazine issues -- so it's a real good value! 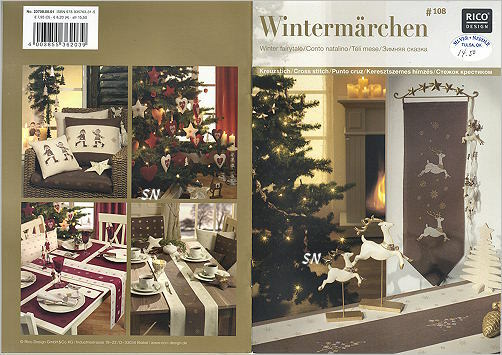 Here is another in our really cool collection of European Christmas book by RICO. 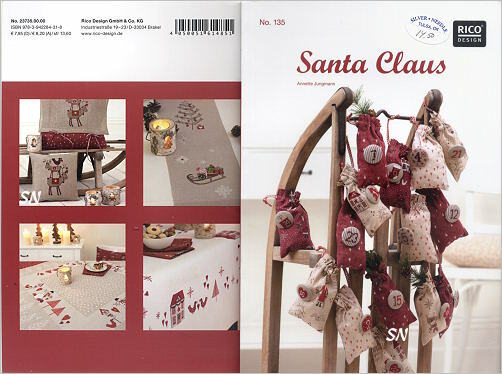 Absolutely the most charming sets of designs, this offers ornaments, table cloths, wreaths, runners ... you can finish any of them any way you want. The motifs are mostly small and then put together into larger projects. The pictures in the little 6 x 9 softcover 112 page book are awesome, beautifully done and full of inspiration. Tiny Santas, reindeer, holly springs, a little fox and lots of pine trees, there are so many cute things in here. DMC color coding, pretty shading of the colors, and lots of things worked into corners and diagonals -- on the bias. 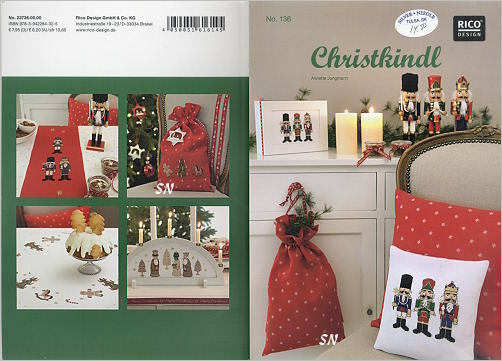 It's one thing to chart a cute stocking and quite another to chart it on the diagonal! Anyway, as with all the rest of this series, you will be enchanted!!!!!!! 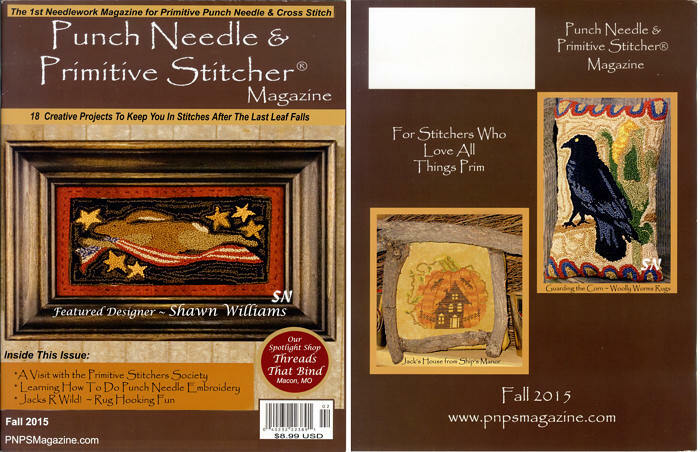 Quite the complete book full of stitching information... I love these kind of publications because they are amazing to page through, and you just don't want to stop! 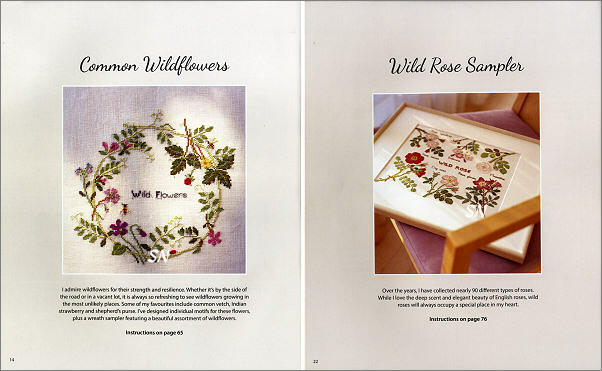 This book explains the techniques of choosing threads and stitches for painted needlepoint canvases -- to bring the designs to life via your needlework. 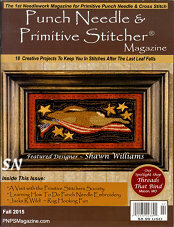 Even though it addresses canvas -- LOTS can be applied to linen stitching as well!!! 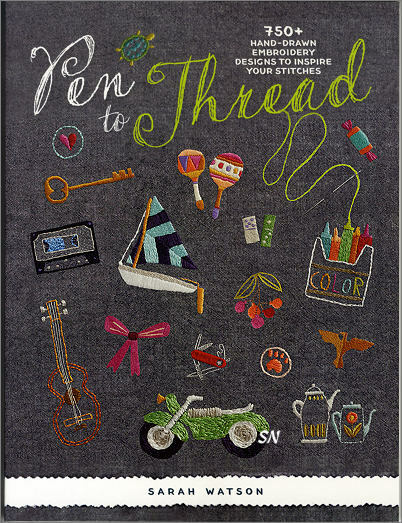 Besides the beginning pages of really good design lessons, there are 24 pages of descriptions of threads from 32 different thread companies, and then 55 more pages of stitch diagrams of 275 stitches!!! Just a little bit of info to digest!!! A great book! 64 Pages of reindeer, olde world Santas, stick pine trees, snowmen, birds and a sled full of presents. Predominant colors in this book are reds, some green, lots of brown and cremes. 64 pages of a full tiered tiny tree, rocking horses and gingerbread cookies, The Three Wisemen, CHARMING angels, , NUTCRACKERS (very hard to find!) and even a Merry-Go-Round! 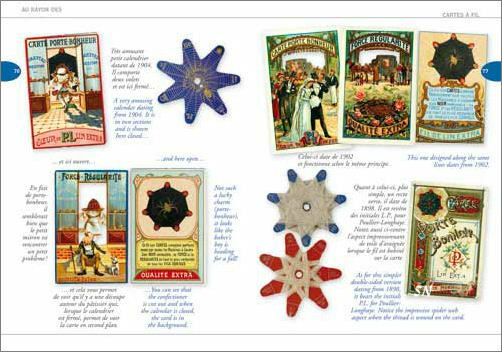 I have a set of tiny wooden angel ornaments that are all playing musical instruments -- I've had them for almost 40 years... and I'm sure these charts are of THOSE angels -- because they are wooden ornaments from Germany -- where these books are published! Just lovely!!!!!! 40 Pages. Darling little folk art angel people, snowmen, a trio of really pretty stylized evergreen topiary trees, monochromatic reindeer and checks -- inspired by coverlet designs -- and little Santa-people, as well. 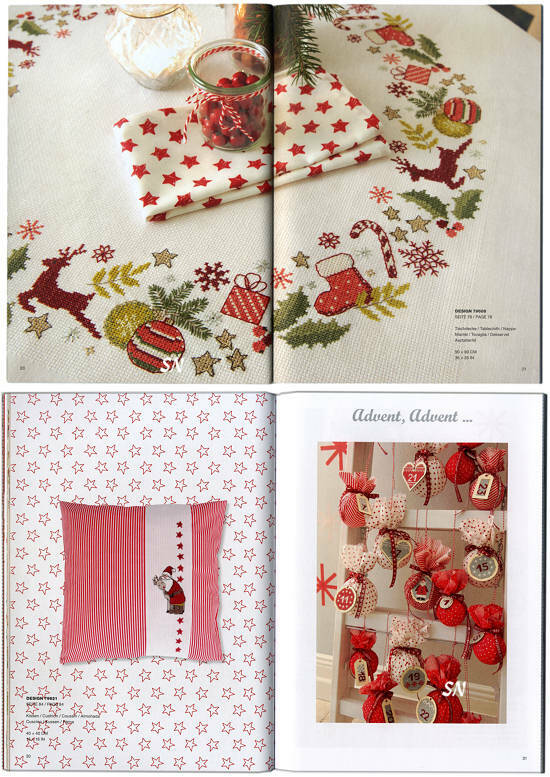 So much red, taupe and cream color -- wait till you see the finishing ideas and the photos on the pages! 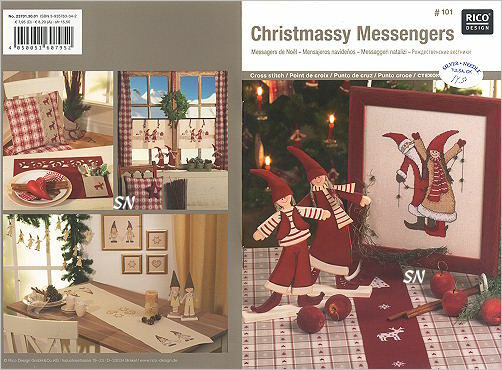 A darling skinny Santa in here... lots of taupe reindeer, some little chicks with striped stocking caps, and more taupe-colored skaters... there is a tree pattern in here that is stunning! 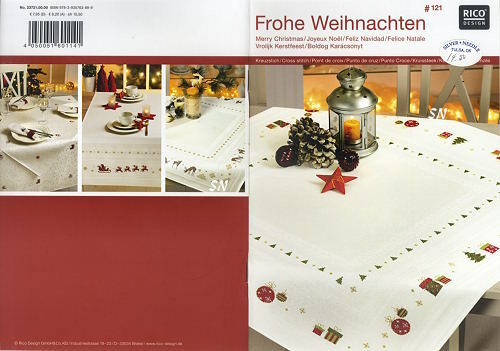 It is simply small circles and snowflakes all tucked into a curvy tree shape -- very contemporary and sleek -- stunning! 40 Pages. 44 pages of cute stuff!!! This one has tiny ball ornaments and wrapped gifts, pine greenery, a row of solid pines, super-stylized reindeer, gorgeous flowing holly with partridges, even a silhouette of Santa and the reindeer in the sky. All smalls in this book... you can put together everything in a million different ways. I'm not sure how to describe this book... but it sure is AWESOME!!! I think it's French in flavor, because all the authors and photographer have very French names. Inside... it features cross stitch motifs, and tons of line drawings for embroidery and primitive stitch. 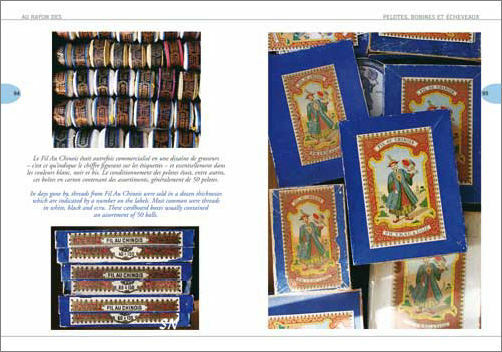 Everything in the entire book is stitched in one color -- there is a green section, red, blue, white and pink... 230-ish pages of lovely pictures and clean, fresh, young and some 'Paris-y' designs!!! 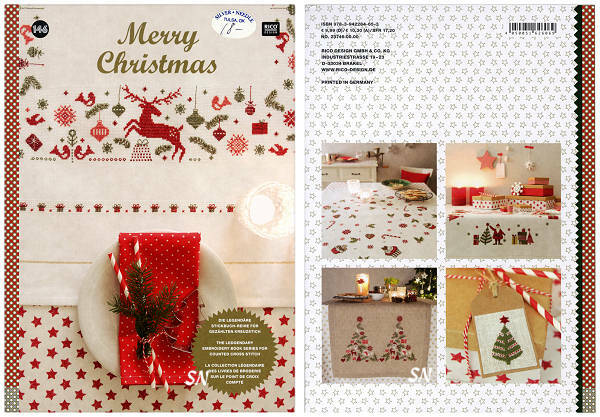 Lovely finishing ideas, charming designs... it has over 1000 different motifs inside. 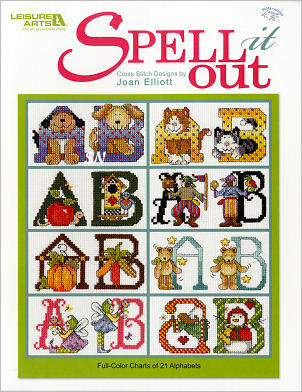 Little dogs, lacy borders, florals alphabets, nautical, kitchen, baby, cats and birds... this is one of those books that shows you something different each time you page through it! Enchanting!!!!!! Joan Elliott has a new book -- 52 pages full! -- of novelty alphabets! Each features a chart for the Capital (upper case) letter... and the entire alphabet of matching lower case letters. Darn cute... you get Redwork, Gardeners, Christmas Folk Art, Puppies, Kitties, Tumbling Teddy Bears, Harvest, Pirates, Fairies, and Art Nouveau. Cute alphabets... we suggest 'em to make bedroom door signs to keep TRESPASSERS *out* of 'un-welcoming' OTHER bedrooms!!! Your kids and grandkids will love what their name looks like! Offered as the book. Here are *excellent* books that are stuffed FULL of different alphabet fonts. 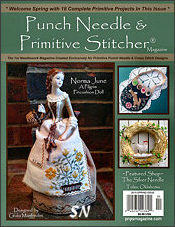 Not at all new... just publications you may not have seen... that are definitely worth a mention!!! 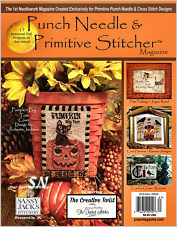 Ok... here are 300 MORE stitches to execute on canvas and linens... for the true-stitcher-at-heart! Ruth Schmuff and Kathy Holicky -- kind of 'big-guns' in the needlepoint industry have compiled a whole new batch of stitches, and diagrammed them for you on their new CD. 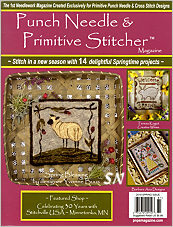 Searchable by type of stitch or name... you could get carried away with this using your needle and thread... or with simply the clip art images!!! 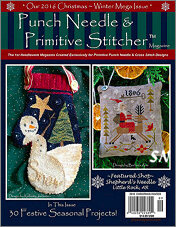 Think about creating stitch guides for your next sampler! 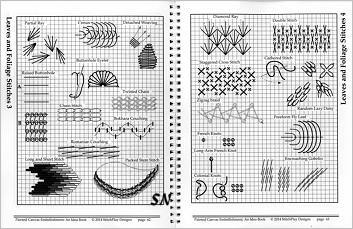 Think about making stitching stationery, by using these stitch diagrams and shrinking them down to put on note cards or place cards, or gift tags, or signature plates to attach to backs of framed pieces! 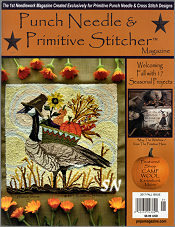 Who says 'ya gotta stitch' everything in your stash!!!??? Perfect, lightweight reference for your laptop and stitch bag! CD number one is available below. 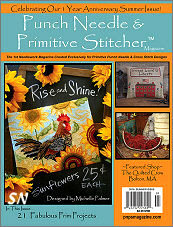 A brand new book by Meredith Bamhill Willett and Beth Robertson, this is a beautiful publication printed on super-glossy paper and stuffed full of awesome, clear, pretty and current pics! 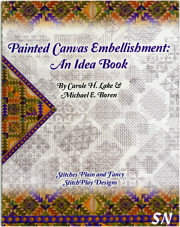 The book delves into textured stitches that are used on canvas and linen. 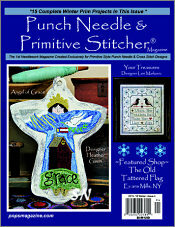 28 Pages of fabulous, creative applications for both threads and stitches... 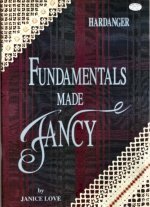 I'd never heard of Faux and Cork-Screw Bullions, Sorbello Stitches, and Detached Woven Picots -- and when you see the up-close pics of what the different threads do for the stitches -- you'll be amazed! 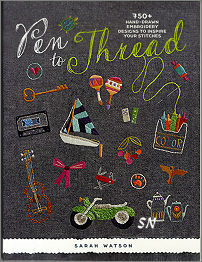 The color pictures of thread and stitch applications are all fresh, 2005-ish projects -- I hate to open stitch books that show projects that look like they're 25 years old. These are fresh, current applications, with current threads. For instance, I know that Flair by Rainbow Gallery ravels like the dickens. This book shows an application for hair that features that raveled fiber!!! You can even shade it! (Who knew!?) Very, very nicely done! 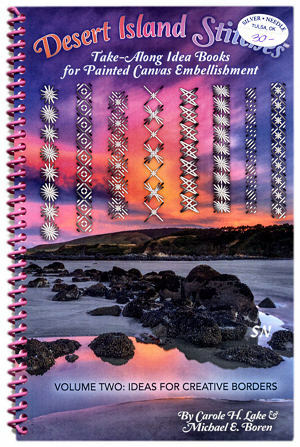 Simply the best hardanger embroidery instruction book on the market, this has continued to sell year after year for us. 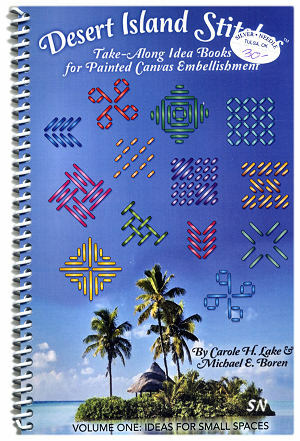 Janice has written this book starting with the most basic of hardanger information, added great diagrams and photos, given you "Points for Perfection," left-handed instructions as well as right-handed, and an entire section of photos and instructions entitled: "Oh My Gosh... What did I do wrong, now!?" Simply the best instruction book around, it'll walk you through the entire process, beautifully! 52 Pages. 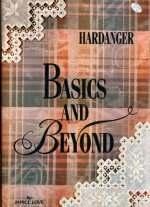 The sequel to Basics & Beyond, this book goes deeper into the specialty hardanger stitches. 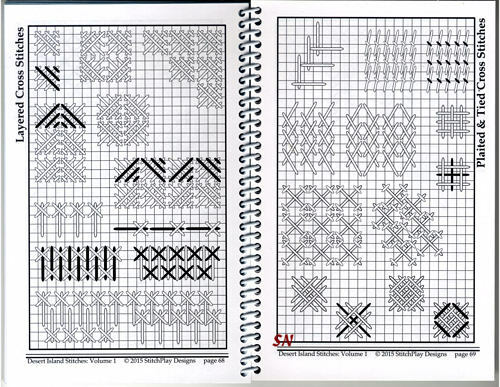 It includes lacy edge instructions as well as 22 other hardanger embellishment treatments. 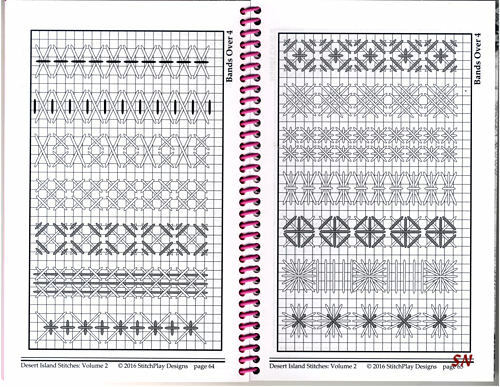 The diagrams and photos are very clearly explained, and there is even clip art included, so you can cut and paste your own hardanger designs together to create a masterpiece! 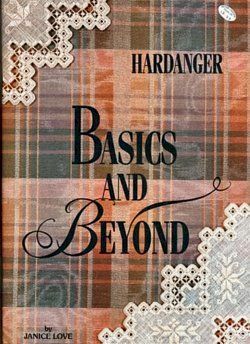 An 'absolute to have' if you're a hardanger fan! 60 Pages.